Ride a bike: Hubby's a painter! 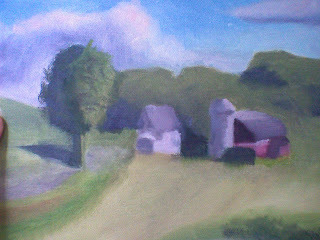 Matt's learning to oil paint-I really like this (unfinished) scene. It reminds me of the Iowa picture at the top of this page! Oh wow, that's a really great picture.